Got enough adrenaline rushing to get you running off the road or to pump your bike for rounds at the village? 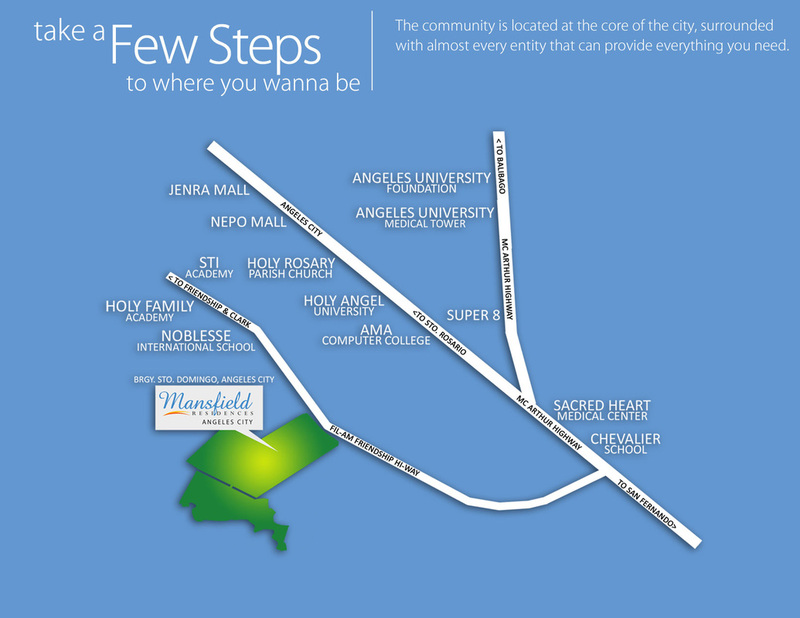 Conceived to promote your active lifestyle, Mansfield Residences is a rewarding new address to give your life some kick. Situated in Sto. Domingo, Angeles City that covers total land area of 20.1 hectares, the residential subdivision is designed for a community of 1,490 households. There is no better time than being at your prime when making a sensible investment. 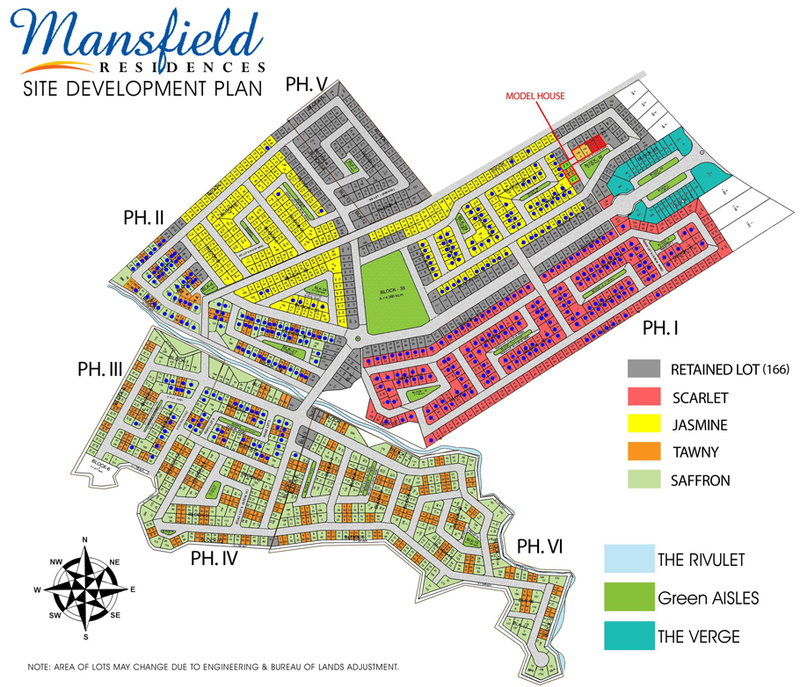 Mansfield is such a wise option to seeing the fruits of your labor. 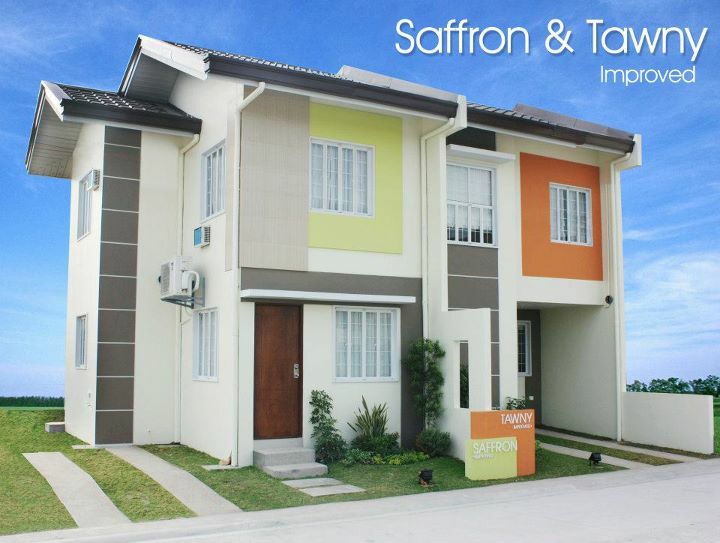 This emerging community presents a fresh dimension in life’s dynamics. 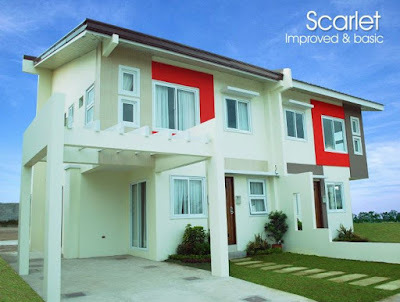 The development has been designed with careful attention to details with a decidedly modern approach in architecture. 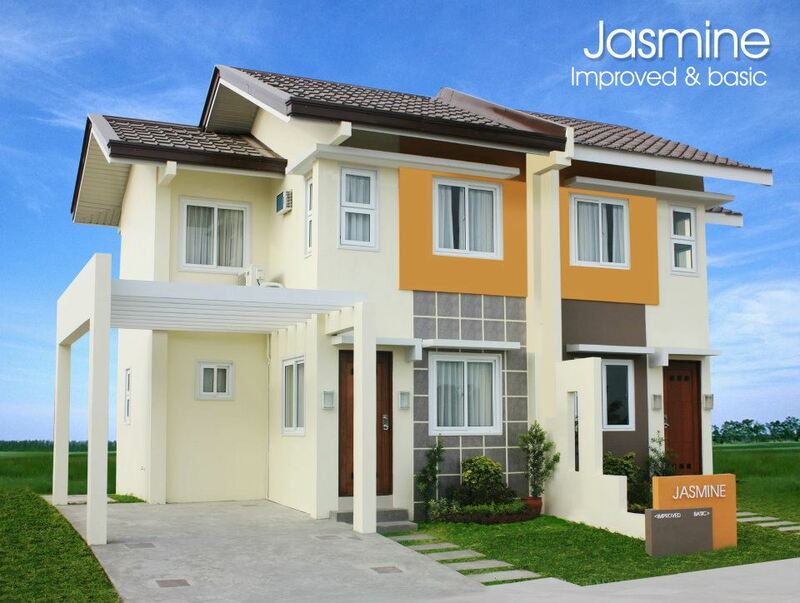 The arrays of chic homes are charmingly named after the different shades of basic colors Jasmine (orange); Scarlet (red); Saffron (yellow) and Tawny (brown). Each meticulously planned townhouse and duplex units provide the space and privacy one need to serve as his very own sanctuary at the end of an engaging day. This securely guarded exclusive community buzzes with life. An iconic landmark bearing the village’s name cannot be missed that is set against the backdrop of “The Verge”. This piazza leading to the site’s entrance embraces the twenty-first century feel. It mounts commercial establishments like restaurants, convenience stores, pubs, cafes, bakeries, internet shops, and other establishments where one can conveniently pick up essentials without leaving the vicinity of the village. These stalls likewise provide a perfect venue for socializing - a place where one can meet up with friends for some exchange over a sumptuous meal or a cup of coffee. The community boasts of other fun amenities such as a club house that’s perfect for meetings and special events; a basketball and futsal court and a free form swimming pool for recreation and outdoor games enthusiasts. There’s even a green park where kids can play and frolic while their moms and caregivers keep an eye on them at the benches. On top of this refreshing spot, meditation areas and quiet pockets of open space welcome those who want to spend time alone to recharge their minds and spirits and recover from the stress of work. You don’t need to wait until you’re a millionaire to have a new address at Mansfield! It offers housing packages that could be perfect for you, your lifestyle and your pocket! What's Up: The Trains Are Coming to the North (Part 1)! 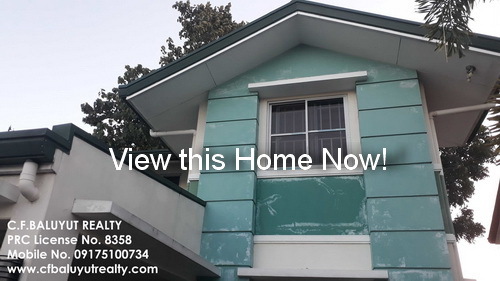 View Our Listings of Properties here. 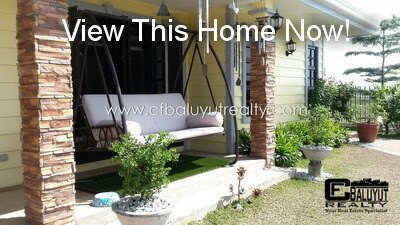 Copyright 2004 - 2019 | C. F. Baluyut Realty | Pampanga Properties For Sale Philippines. Powered by Blogger.